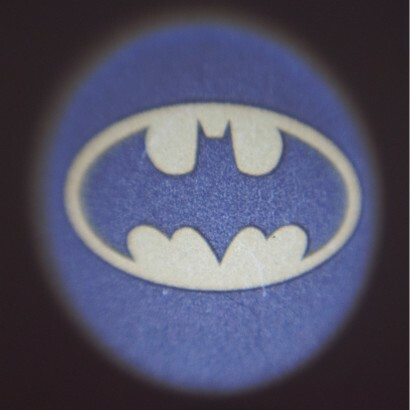 Need a hero? Shine the Bat signal from your room and the original Batman calling card will project up to 8m away! 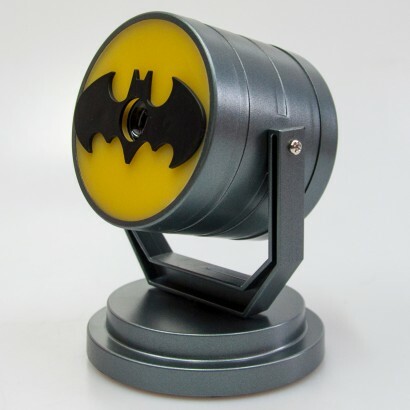 A mini mood light with a big job, the Bat signal projection light shines the Bat Signal into your room acting as a very cool mood light or night light. 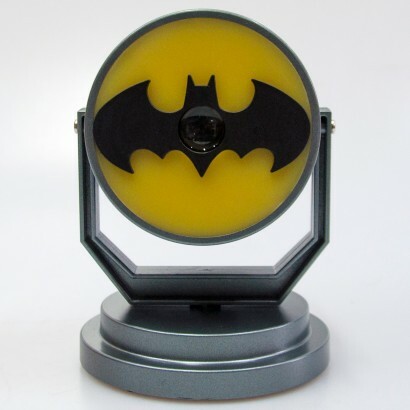 Villainous siblings trying to sneak into your room will be stopped in their tracks when they see the calling card for the caped crusader for fear of the big bad Bat leaving you to bask in the yellow glow. 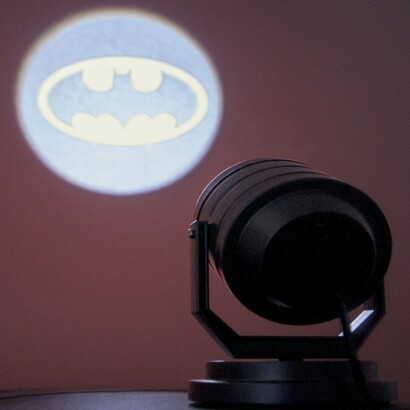 The projection light unit allows 360 degree rotation and tilt movement allowing you complete control over where you shine the Bat emblem seeing off the forces of darkness from even the shadiest corners of your room. Projects Bat signal up to 8m away!